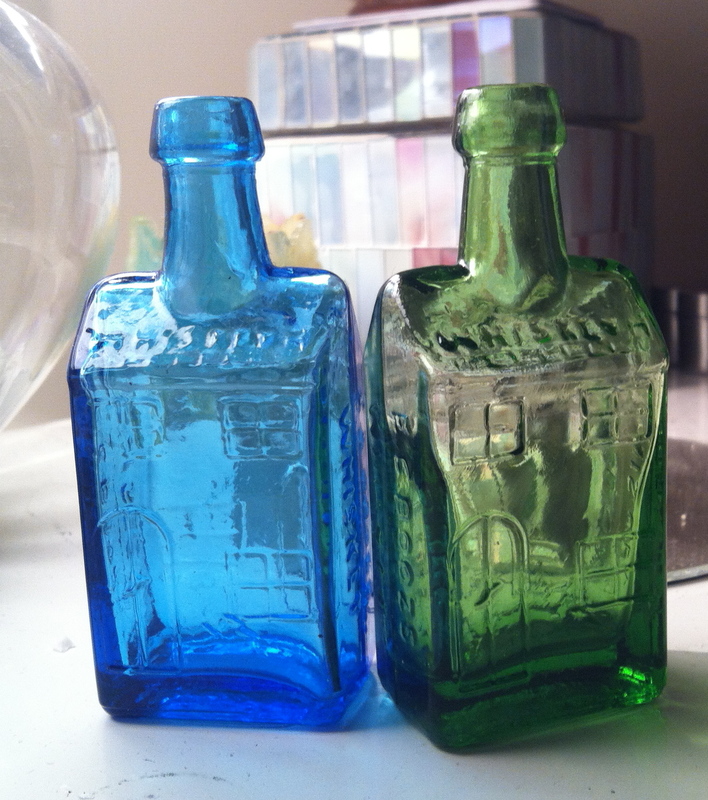 As I mentioned in my earlier post, How to make a cavity mold, I had tons of slip, so I made house bottles. 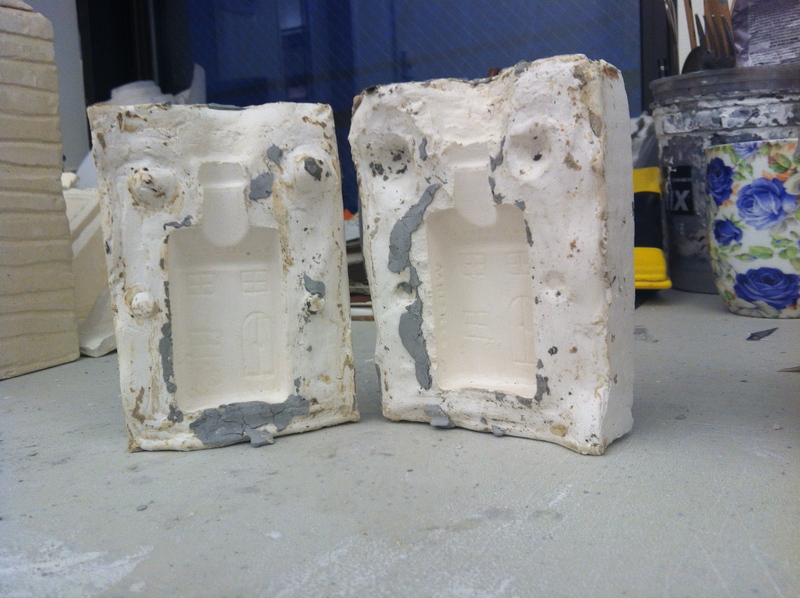 Slip casting is a way to replicate an object in ceramic. It is also great for small scale production and editioning. 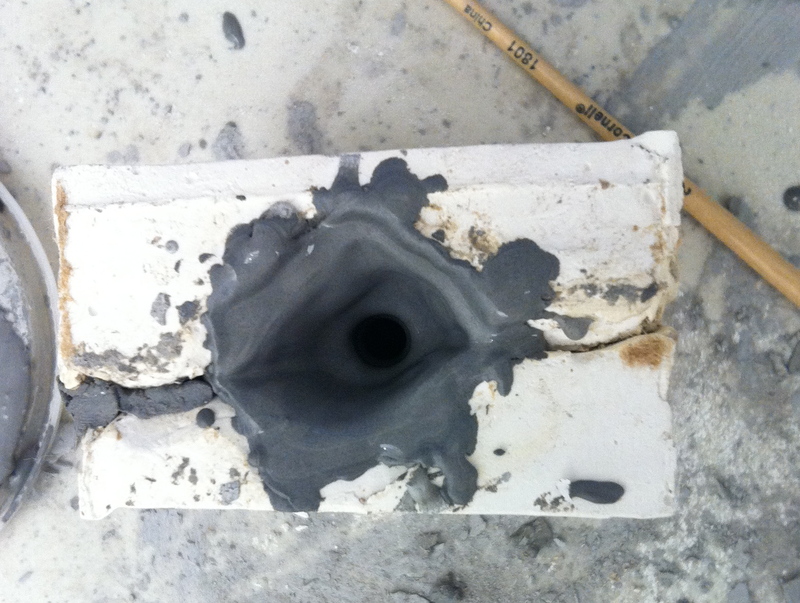 There are two ways that something can be casted, either solid or hollow. Here are the detailed instructions for hollow slip casting. Directions for solid slip casting are briefly described at the end. 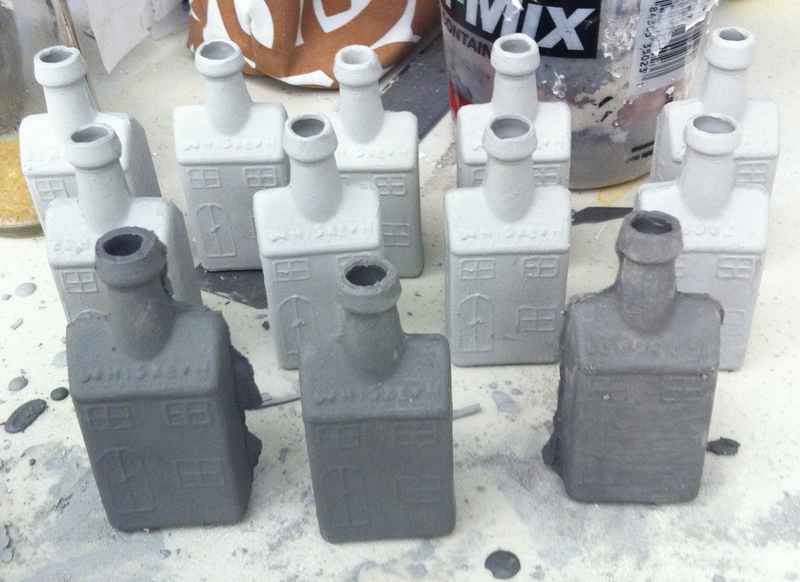 And here, below, are my houses waiting to be glazed! step 1- make sure the inside of your two-piece cavity mold is clean, fit the two pieces together and close it tight with rubber bands. step 2 – mix your slip to remove any clumps. add water or slip dope to thin your slip so that it is the consistency of half-and-half or heavy cream. step 3a- pour the slip into the mold. after a few seconds the slip may sink a bit, so add some more. step 4- wait at least 2 hours to let your slip dry. the longer you wait, the better your object with come out. if you don’t want to wait, you can dry it with a blow dryer. and again, if your object is larger than mine, wait longer. step 5- gently pry the mold apart. BEFORE removing the object, slice off the excess slip at the top of the object, to easily get an even lip. step 6- trim the object with trimming tools and/or smooth with a sponge. let dry and underglaze, or bisque fire your objects. follow directions above, but skip step 3b. simply fill the mold and let dry. but note that smaller objects, like mine, are ideal for this method because if your object is too large or thick, it will explode in the kiln. After having about 9 lbs of ceramic slip leftover from a previous project, I figured I might as well slip-cast until I have none left. 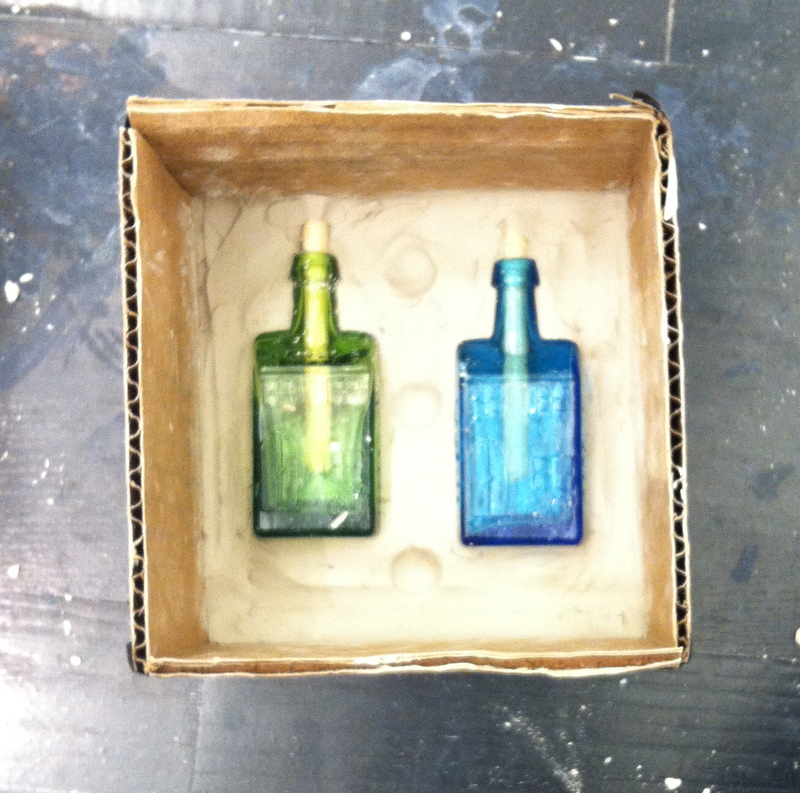 So with some help from the internet and my friend/ studio neighbor, Alex Mac, I made a cavity mold from these cute little house bottles I found at a flea market. 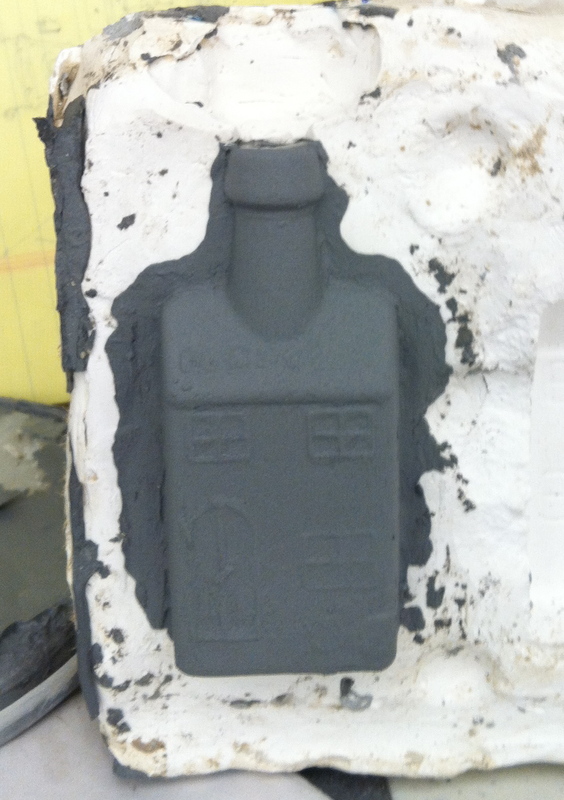 This type of mold is best for slip casting because the plaster absorbs the water from the slip, which allow the casted object to harden into its shape. Directions for slip casting will be posted soon. 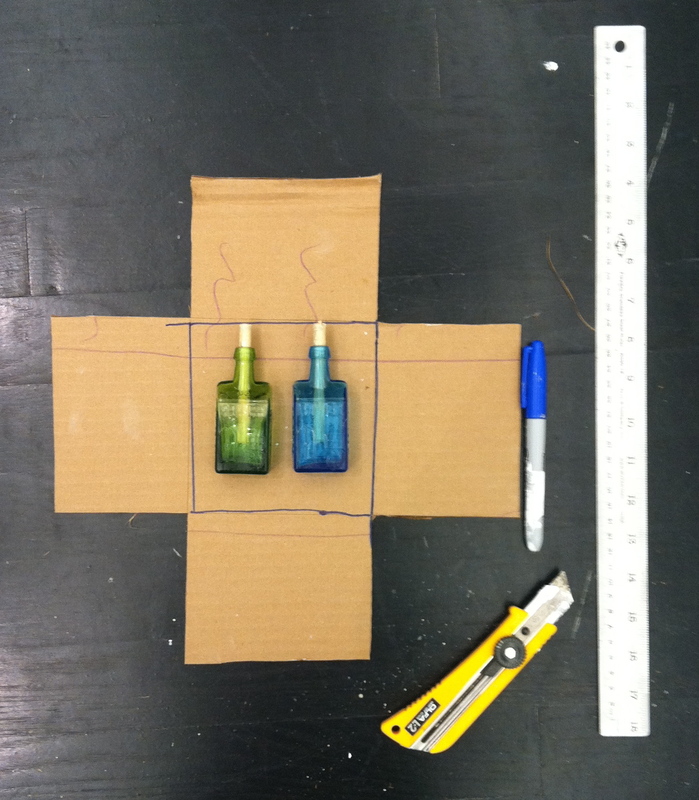 Step 1a- place your object on your board and draw a square or rectangle around it. * note- the top of the object will be close to the top edge, the other 3 sides should have enough space to make grooves to lock in your mold when you use it. Step 2- score the bottom of your box to fold up the sides and tape it up really well, making sure to tape up your score lines also. 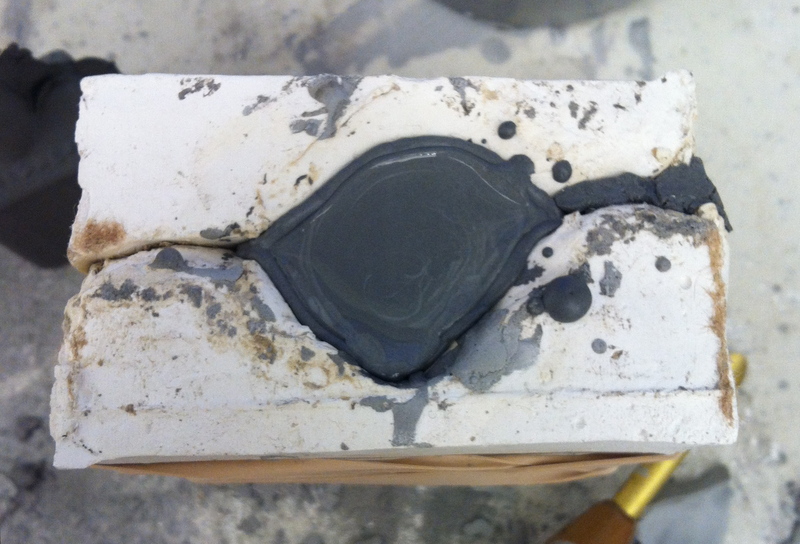 Step 3- take your object and cover it with clay halfway, to where the 2 halves of your mold will come together. I used ceramic clay, because I had it, but I’m sure sculpey will work just as well. Step 4- cover your object, clay and walls of the box with vaseline being careful to get every crack and corner. Step 5a- make the plaster and pour over the object covering it completely, and then some more. you can also mark your box to where you want the plaster to meet if you think you will be unsure. 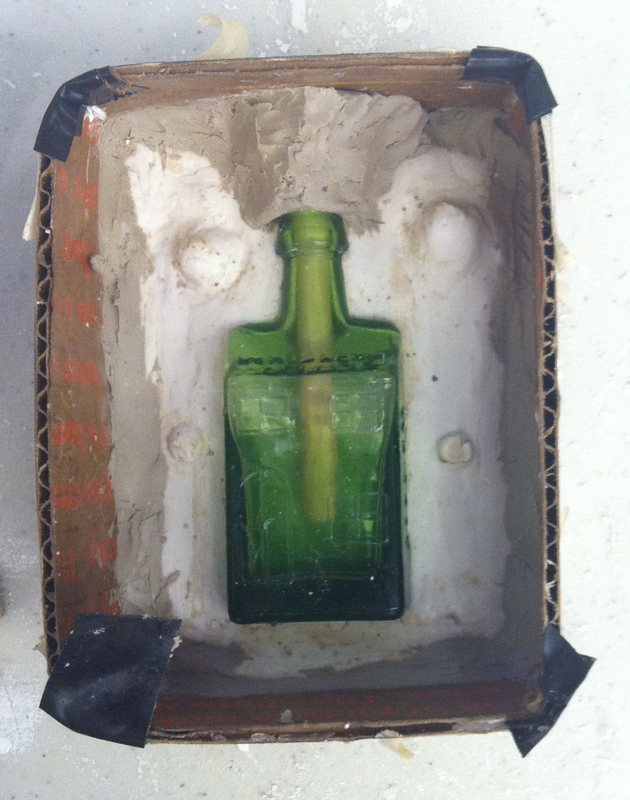 Step 5b- Once you poured your plaster into the mold, tap the sides and wiggle it around a bit to get any air bubbles out. * wait at least 1 hour for the plaster to dry. i know! be patient. Step 6- when the plaster is dry, slice the tape and open the box. it is ok if the cardboard sticks to the plaster. 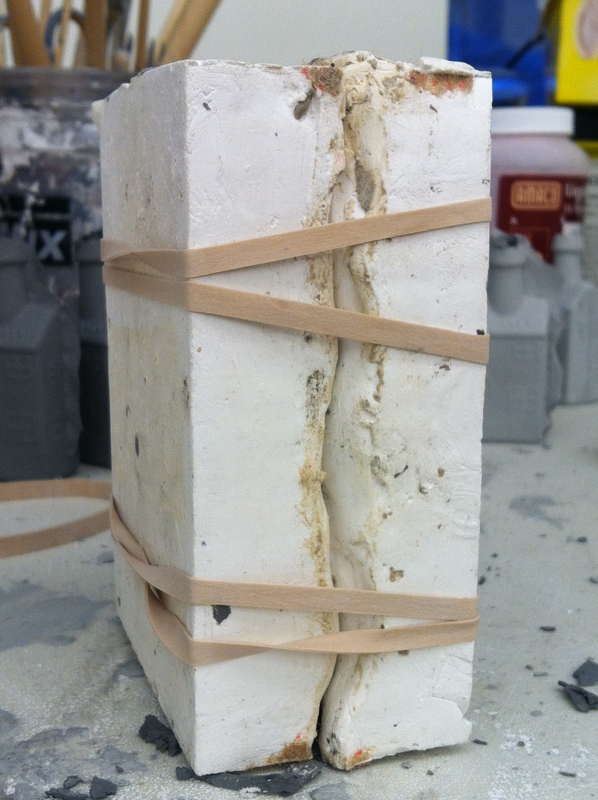 take out the block of plaster and remove all the clay, leaving the object in the plaster. place the plaster block into the box, object facing up, and tape it back together. Step 10- when the plaster is completely dry, slice open the box and carefully separate the two pieces. remove your object and HAPPY CASTING!